The other day, I realized that I have my purses stashed all over my house. Some are in my coat closet, linen closet, clothes closet, and under my bed. It's time that for all of them to reside in one place. I have yet to decide where that place will be. However, I'm pretty lucky that I do have an extra closet that could be my new "purse" closet. Currently, it's my disaster closet with a little bit of everything in it. Pinterest is a great source for inspiration. Look at these "purse" closets!!! 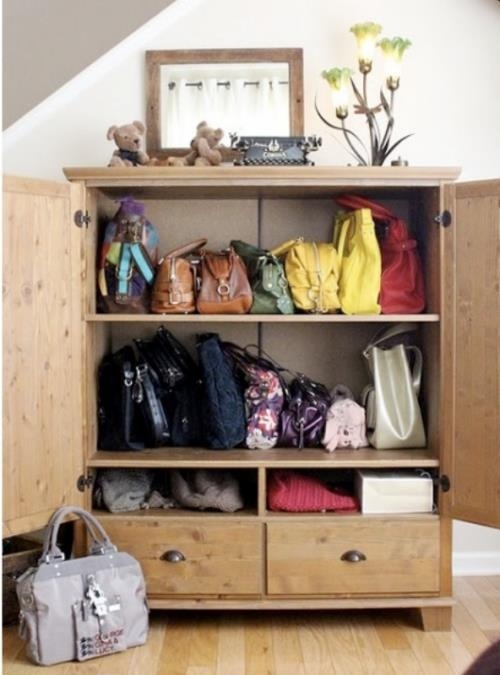 Seeing as I LOVE purses, it's only fitting that I have a purse closet!! Now that I have some ideas, I'm gonna try and work on creating my own "purse" closet this summer. When it's all complete, I will make sure to show you some pictures. 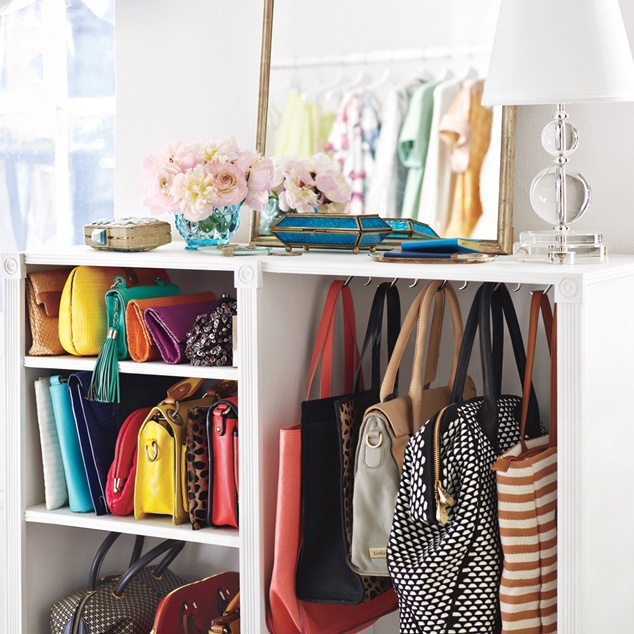 How do you organize your purses? yes!!! 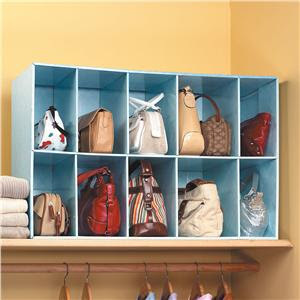 i can't wait to see how you organize your purses :) i definitely have a purse shelf for my purses! i love that last picture of them hanging like that but i don't think that would necessarily be good for the straps for long durations???? I'm loving the last one! So cool!